Happy Sunday everyone! This is another “Comfort Food Sunday” post and I know you’re going to love it. These enchiladas are HEALTHY! I’m also giving you the recipe for my famous salsa. Why is it famous? Because I said so. Ask anyone of my friends who have tried this salsa and they’ll tell you that it deserves a Nobel Peace Prize. If I catch you calling this recipe your own or putting other ingredients in it just to “spice it up a little”, I will tell you that you will regret your decision… and you will! So here’s the recipe for the Enchiladas. Did I mention they’re sinless? And also vegetarian? What you’ll need: Large mixing bowl, cooking spray, medium Pyrex casserole dish. Preheat oven to 350 degrees. Mix cream cheese, cheddar cheese and green onions in a large bowl together. Spoon mixture onto tortilla and wrap tight. You should spoon out enough to fill enchilada. You’ll have too much left over if you don’t. Fill all tortillas and wrap them tight and lay them flat in a medium Pyrex casserole dish. What you’ll need: Food processor and fork. Drain all tomato juice and fill food processor with 5-6 whole peeled tomatoes. Run the food processor to chop up tomatoes. 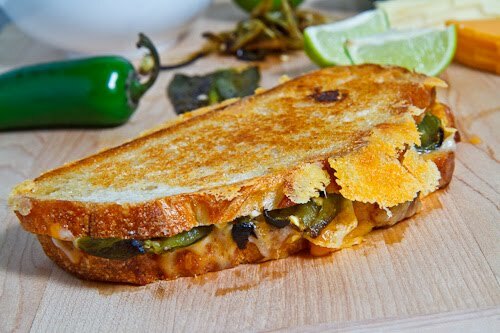 Add two fork-fulls of jalapenos. Trust me on this one. Sprinkle garlic salt over the top, enough to coat the top layer. Again, trust me on this one. Run the food processor until mixture is chunky but smooth. When you’re done mixing the salsa, pour over the top of enchiladas. Pour enough to coat. Sprinkle remaining cheddar cheese over the top of the salsa and enchiladas. 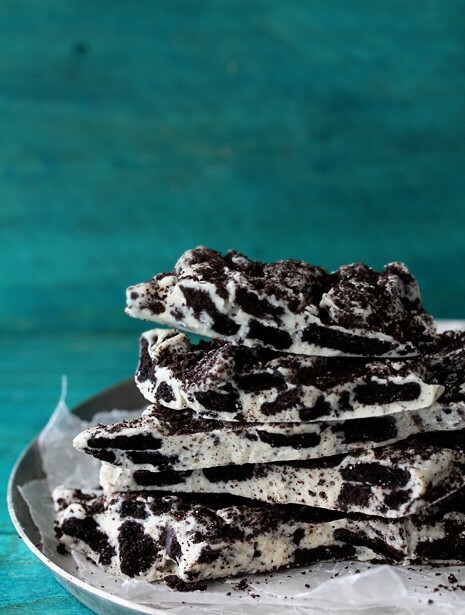 Bake in the oven for 13-15 minutes and enjoy! WARNING: THESE ARE HIGHLY ADDICTIVE AND CAN CAUSE DELIRIOUS THOUGHTS. But, it’s worth it, because they’re SINLESS! Enjoy, happy Sunday and HAPPY KITCHENING! Every Tuesday I get this weird feeling in my stomach. Most people would call this a craving, but I call it an unrelenting yearning for food. Mexican food to be exact. If I could eat one type of food for the rest of my life it would have to be Mexican food. 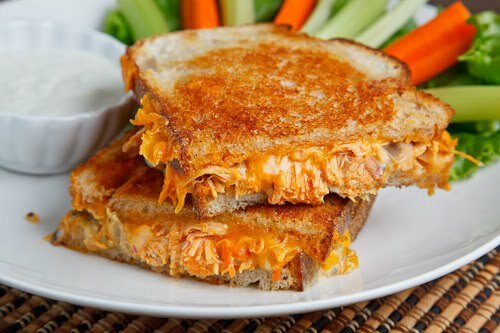 I probably wouldn’t have much of a stomach left, but I’d enjoy every moment of delightful cheesy, saucy goodness. OK, so let’s cut to the chase. You love tacos, right? Who doesn’t? But, do you like taco salad? This recipe is a twist on your ordinary taco salad. So here goes…. Cooking the meat: Heat a large skillet over medium-high heat. Add the beef and cook until no longer pink, stirring occasionally and breaking the meat up with a spoon. Add the garlic and beans and cook for 2 minutes more. Add the chili powder, cayenne pepper and water and stir until well combined. (Not all the liquid should be absorbed). Remove from heat and allow mixture to cool slightly. For convenience, you can make this meat mixture up to 3 days prior to making the entire recipe. To make tomato dressing: In a medium bowl combine tomatoes, oil, lime juice, salt and pepper. To make the salad: Place 2 cups of lettuce on each plate. Top each with 1 cup of beef mixture then sprinkle with 2 tbsp of cheese. 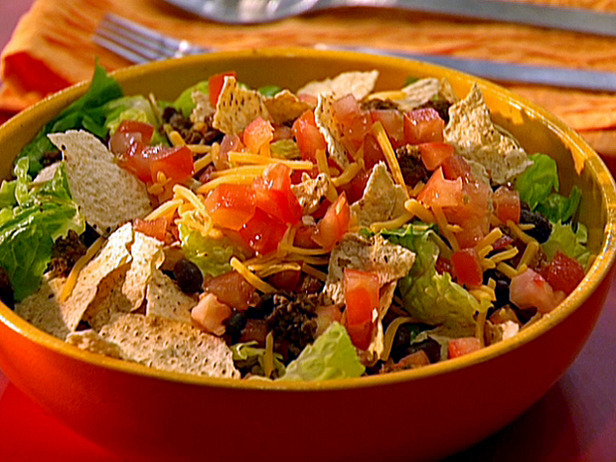 Pour tomato mixture over the beef and cheese mixture, then crush tortilla chips over the top of the salad. You can also use chicken, pork or go VEGGIE! Hope you like this recipe and Happy Kitchening! I hope everyone is having a great Monday. Since Monday is always a “get back to real life” day, I figured I’d give y’all a recipe that will lift your spirits. My mom used to make stuffed shells when I was a kid. 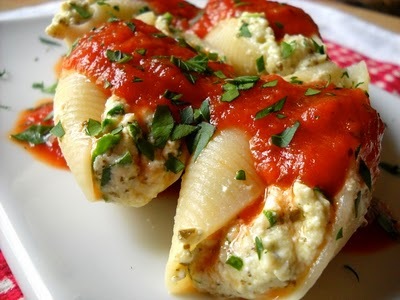 I hated them when I was really young (because of the ricotta cheese), but once I got older and gained more respect for the art of cooking, I grew to love stuffed shells. These are a little different than the ones my mom used to make. They have basil pesto in them. BASIL PESTO! I could eat the entire jar of this stuff. 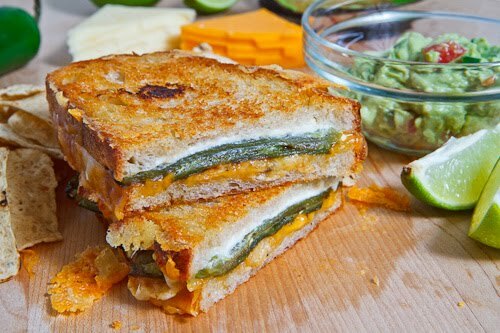 I made these for dinner last night and they were definitely a hit! STEP 1: In a bowl, mix together the ricotta, mozzarella, pesto and the egg (the egg keeps the filling from getting too runny when cooked). Refrigerate the filling until you are ready to use it. STEP 2: Cook the pasta according to the directions on the box (boil for 12 min.). You will still need to gently stir a few times during cooking. Be careful not to over cook the pasta or else it will rip easily and be too mushy after cooking with the filling and sauce. Drain the pasta and rinse with cool water to stop the cooking process. Let the pasta drain. STEP 3: Preheat the oven to 350 degrees. The shells roll up tight when they are cooked so use the fingers on one hand to hold them open as you spoon about 3 Tbsp of pesto cheese mix into the center of each. There should be enough pesto cheese mix to fill the shell so that it stays open just slightly (the edges should be about 1/2 inch apart). Fill as many shells as you can with the cheese mix. STEP 4: Spread one cup of pasta sauce in the bottom of a glass baking dish. Pack the shells in tightly. If you space them too far apart, they will dry out during the cooking process. Pour the remaining pasta sauce over top. Bake for about 30 minutes at 350 degrees or until the sauce is bubbling up around the edges.